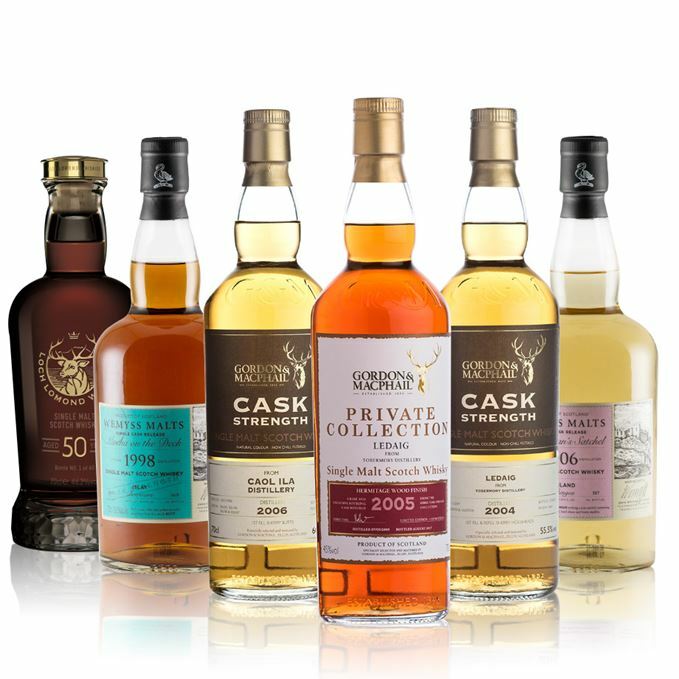 There’s a peaty theme uniting most of the new whiskies tasted by Dave Broom this week, but the contrasting styles and flavours show just how varied this style of single malt can be. 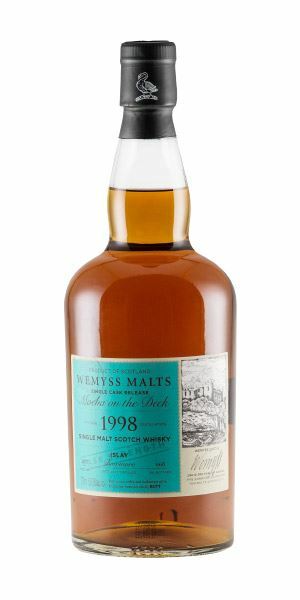 With independent bottlers to the fore, we begin in fine style with a rich and ripe Bowmore bottled by Wemyss Malts, before moving across Islay to a much younger – but almost as impressive – cask-strength Caol Ila from Gordon & MacPhail. 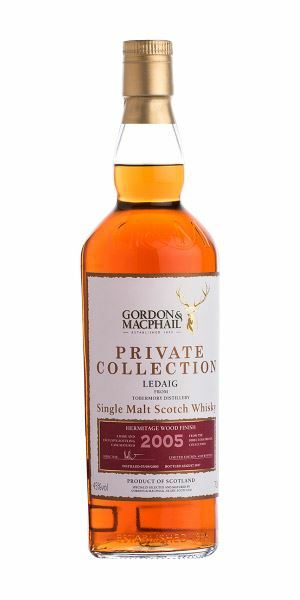 Two bottlings of Ledaig, also courtesy of Gordon & MacPhail, offer a mixed bag: while Broom is highly impressed by a cask strength example of Tobermory’s peated alter ego from 2004, he is less convinced by the merits of a 2005 wine cask finish. 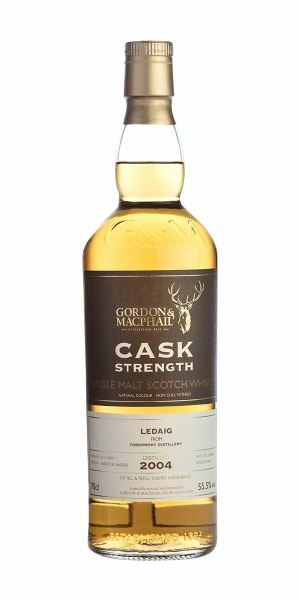 This week also features not one but two lesser-spotted single malts from the remarkably versatile, but previously publicity-shy, Loch Lomond distillery. 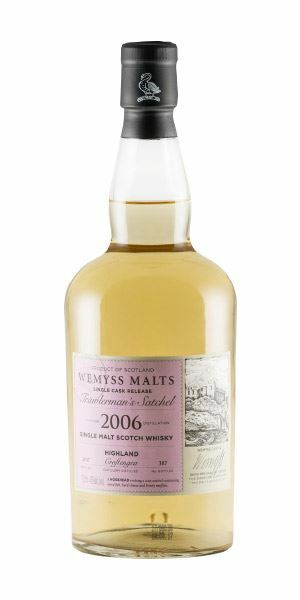 For starters, Wemyss offers up the evocatively named ‘Trawlerman’s Satchel’, a 2006 bottling of the distillery’s peated ‘Croftengea’ spirit. 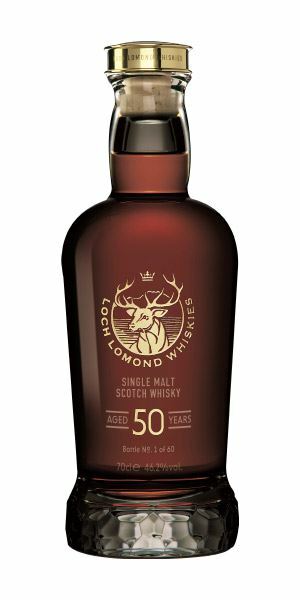 And we close with a very different beast: by far the oldest whisky produced to date at the Alexandria distillery: Loch Lomond 50-Year-Old, which ran off the stills in the early months of its existence. Worth the wait? You bet. One of the richer, thicker Bowmores, with medium smoke and an immediate plunge into Black Forest gâteau, (chocolate/cream/black cherry) elements given a tweak by citrus peels being dropped on hot charcoal. There’s some Parma Violet and then gentle orchard fruits poke out from the deep. Complex and fascinating. As it develops, there’s some curry spices. Water lifts out the fruit, but not to the detriment of weight or aromatics. A sweet start of candied fruits, more of that chocolate and citrus. The tannins are well-balanced, adding structure but not interfering with the overall flow. The key is the growing tropical fruit element, which now mingles with wintergreen and subtle, pervasive smoke. Peach skin and aromatic smoke. Elegant and long. Smoke? Tick. Floral touches? Tick. Chocolate and citrus? Tick. Tropical fruit? Tick. Richness? Tick. What’s not to love? Buy one now. Drink with the Fania All Stars in mellow(er) mood. A surprisingly aromatic opening that’s highly herbal (burning rosemary and sage), with some violet flower and then the aroma of scallops sizzling on a hot plate. 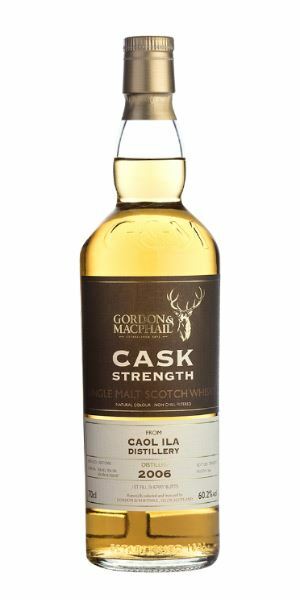 Things become more saline, with a subtle touch of cereal, and then Caol Ila grassiness. In time, some bamboo and then the aroma of green broom (pea pod) branches on top of a fire, and peppermint. The scented air continues when it’s diluted, with more cinnamon, mint, salt water taffy, peppery citrus and smoke. A sweet start, with an oily texture that lulls you into a false sense of security, because then a wave of sea water hits your face. As you emerge, gasping, there’s ginny notes of juniper and angelica, then a tiny crunch of sweet hazelnut and finally some smoked seafood and clam juice. The smoke is retained when diluted, but a more intense, lemon acidity is brought forward. Great balance and decent complexity. Aromatic, smoky, head-clearing. A great Caol Ila. Light smoke, reminiscent of burning pine branches, with a sweet barley background and hints of mature Gouda nuttiness and sweet fruit. There’s low wood impact, which adds a slight edginess to proceedings. It’s this slightly plain element which is enhanced when water is added, but there’s some smoke and just enough sweetness. Shortbread-like sweetness, and it’s this buttery creaminess which adds texture to the delicately juicy fruits that come across at the start. It does tighten and dry significantly from the mid-palate on as the smoke comes in. Water smooths the transition out and brings an almost waxy element into play. Some pear, sherbet and more smoke. Well-handled smoke here and, while it maybe lacks in interactive elements, it’s a decent dram. A sauna among the wallabies. Earthy. Big chestnut element, backed by a slightly meaty element: hot burger fat dripping onto smoking coals (you know you want some). Rich and sweet, though with heavily-fruited concentration. This deep intensity diminishes after a while as the alcohol comes forward. The addition of water shows it to be solid with some charred red pepper, but not as concentrated as initially thought. I’d leave it as it is. Big and oily to start, with some cooked fruits. The meatiness is more like pork char siu, smoky and meaty with real sweet richness. The alcohol is well-controlled, which allows some complexity to develop on the palate. Water reduces the impact. A good distillate with grunt, to be taken quickly, and neat. Street food market in Guangzhou. There’s a nutty, oxidised note to kick off with, alongside some burning wood and sulphur. A heavy earthiness lurks behind, bringing in elements of mushroom and roasting tin before red and black fruits start to emerge. The bonfire continues to blaze, and this, plus the fruit and the cask-driven sulphur, brings out a note like an old-fashioned, oxidised Burgundy with the classic attendant aroma. The sulphur is upped with water. A slightly dumb start, as if the spirit has been blunted by the wine. That said, there’s some berry fruits and more of the thick distillate that moves towards leather and smoke. Strangely, though, it’s lacking in expressiveness. When water is added there’s more of the sulphurous qualities. Perks up with raspberry and currant leaf… then smoke. Aged in a first-fill Hermitage cask. It’s the fruitiness which just about saves it. I’d go for the Cask Strength every time, though. Raiding the depleted cellar at a down-at-heel gentleman’s club. A heavy, profound and obviously mature nose of tanned leather and dunnage-style rancio (cellar funk, wet earth), but this is given added complexity by a headily-scented element of myrhh, resin, a whiff of cigar smoke (Cohiba robusta), resulting in a concentrated and almost balsamic effect that nods graciously at Armagnac and Vieille Prûne. Heavy, yet heady and expansive. In time you pick out (buff) envelope glue, wax crayon, tonka and some smouldering sandalwood. The cask then starts to come through, but it shows amazing persistence as the sweetness pushes back, underlaid with sealing wax and glossy fruits. Medium to rich, with amazing fruits to start with, giving this mix of coffee and peach which bursts in the mouth. Moves in multiple directions without losing its overall concentration. As it moves into the centre of the palate, the oak starts finally to exert some pressure with bitter chocolate from tannins starting to dominate. It becomes harder to find the light as you move further into the wood, but then there’s a sudden, small crack where a bright beam of spiced honey floods in. Dries quickly, but still with vestigial fruits. There is wisdom here, accrued over half a century, so take your time in teasing it out. Remarkable and rewarding. It moves slowly, deeply, like Mingus’ Moanin’.